Win more bids and increase your margins by reducing your costs and improving your schedule. When you implement Qnect’s Preference Optimization, Bolt Optimization and Doubler Optimization solutions, you have access to fast, intelligent data that puts you in control. As a fabricator, you run a tight shop. Avoid costly revisions and rework that not only hurt your team's motivation, but also your bottom line. Save $30-$50/ton with Preference Optimization, Bolt Optimization and Doubler Optimization. Realize a 20-50% reduction in bolt count, bolt holes, time for bolting, machine use, skilled laborers needed and erection time. Reduce waiting time for shop drawings, improve factory throughput, revisions turnaround and safety. Doing this quickly and easily at bid stage helps you be more confident in your numbers and win more bids. 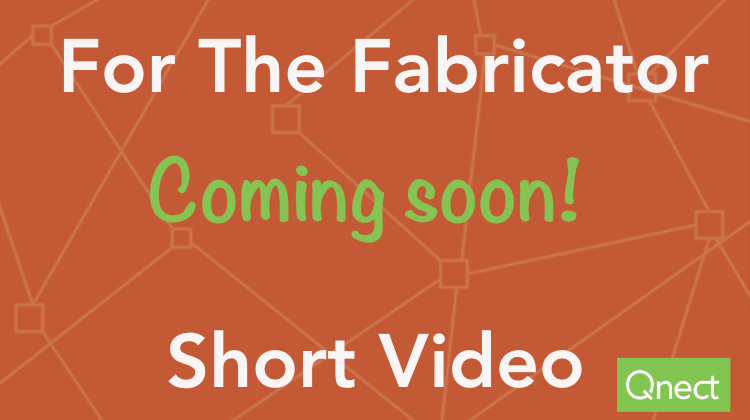 Watch Qnect's 2 Minute Video for Fabricators. Learn how optimization has benefited shops just like yours.